Set on the seafront in St. George's Bay, this luxurious five-star Radisson Blu Resort offers quiet, breath taking views of white sandy beaches overlooks the crystal clear waters of the Mediterranean Sea. The perfect location of the five-star Radisson Blu Resort allows guests to enjoy fantastic seafront views from their rooms. Guests can grab a cocktail at the swim up bar and take in the stunning views of clean sandy beaches and sparkling waters of the Mediterranean whilst basking in the sun at the edge of the resort's pristine outdoor swimming pools. 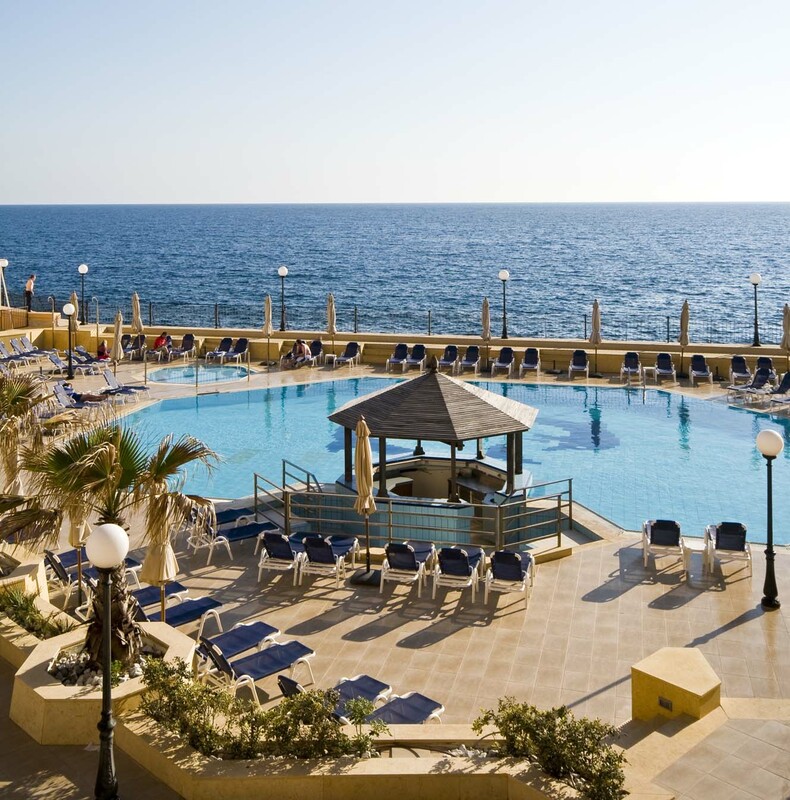 The outdoor pools overlook the sea meaning that guests can safely dip in and out of the resort's pools, with the illusion of swimming in the Mediterranean itself. Take advantage of the resort's location to clear your head on a relaxing stroll along the tranquil water’s edge on the resort's private beach and enjoy a light refreshment from one of the beach bars. This lavish seafront resort has a lot to offer its guests from amazing facilities to sensational views of the sea. 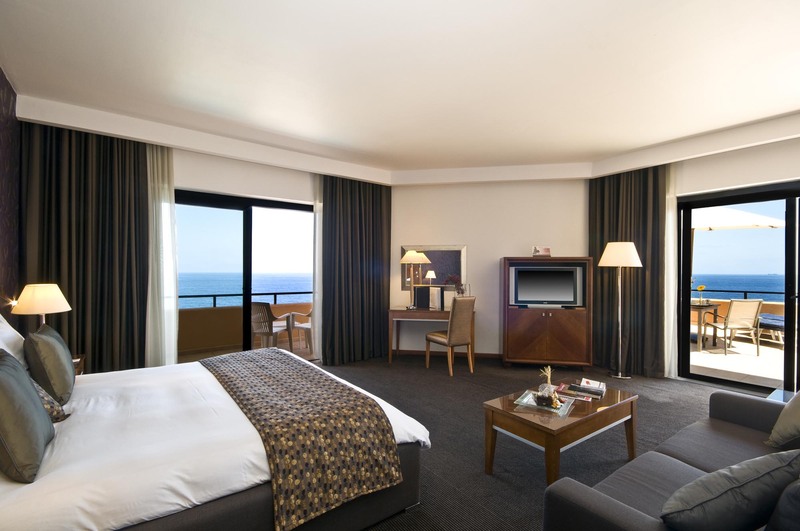 Guests can choose from a selection of luxury rooms overlooking the sparkling Mediterranean sea all of which are fully equipped with a range of deluxe amenities like large flat screen TVs, a mini bar and free tea and coffee. Enjoy a panoramic view of the beautiful seafront from the privacy of your own terrace from the luxurious premier suites. This type of room is perfect for those looking for privacy as guests can sunbathe on the balcony and enjoy alfresco room service. The newly refurbished terrace suites have a soothing neutral palette and contemporary interior, mirroring the tranquillity of the ocean. Looking for some excitement and adventure during your holiday? Then get out and explore the striking seafront views of the Mediterranean through a variety of water sports and activities. Visit the Radisson Blu Resort's Starfish Diving School which caters for all levels from beginners to instructors-in-training. 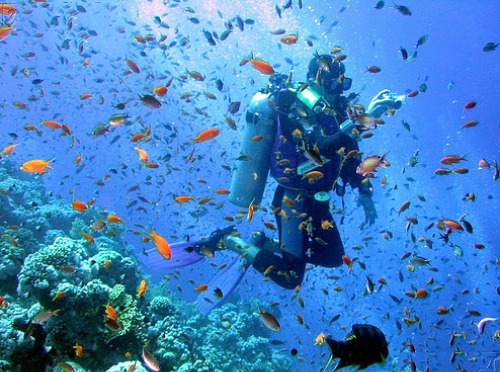 Alongside diving experts, get up close and personal with the marine life and breath taking underwater views by going wreck diving, night diving, boat diving or technical diving. Alternatively, guests at the Radisson Blu can cruise the tranquil seas of the Mediterranean by chartering a yacht, speedboat or cabin cruiser. To gain the most out of your trip, allow the resort's experts to tailor make an incentive program that best suits your special event. Take a stroll down to the beach front outside of the resort where there are a number of seafront cafes, bars and restaurants within the St Julian's area. If you are looking to take a break from the sun, wander down to the Bay Street Shopping Complex located around one block back from the seafront. Here you will find a selection of food and drink facilities and around 60 high street retail outlets where you can pick up a few souvenirs for your loved ones at home. If you are looking for a relaxing holiday that offers breath taking seafront views, the Radisson Blu Resort is the ideal location for you. The resort offers endless opportunities to experience the beautiful seafront of St Julian’s from strolling along the pristine beaches to lounging at the side of the pool or relaxing in the privacy of your own balcony.